What Makes Buddha Air The Number One Airlines of Nepal? 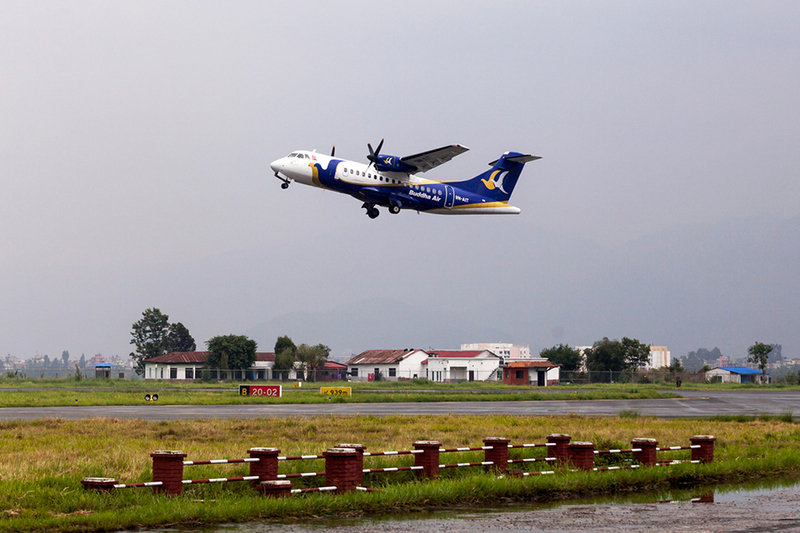 Since Buddha Air started flying in 1997, it has become the most trusted airlines of Nepal. 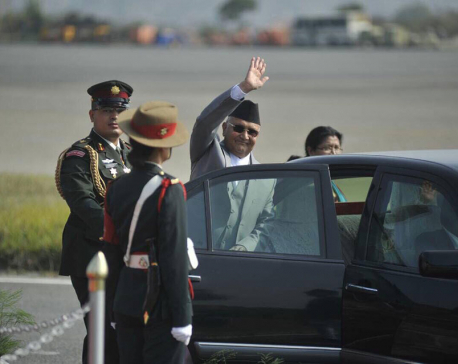 It has grown to be the largest and longest operating privately owned domestic airlines in Nepal. The consistent quality service and great attention to flight safety have won the trust of its passengers. This is evidenced by the consistently higher market share of over 50% than its competitors in the domestic pressurized aircraft segment. When Buddha Air started in 1997, it was the only airline in Nepal to purchase brand new, out of the factory Beechcraft 1900D aircraft. It was on this Beechcraft that Buddha Air flew its maiden flight on 11 October 1997. In 2008, Buddha Air added ATR aircraft to its fleet. 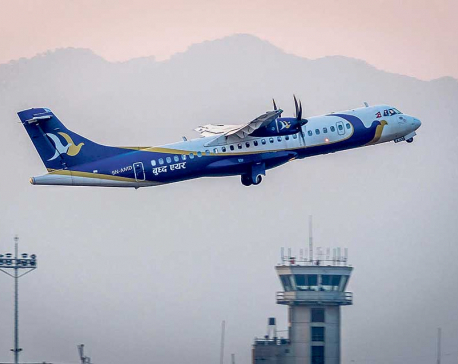 With a strength in a fleet consisting of Beechcraft 1900D, ATR 42-320 and ATR 72-500 aircraft, Buddha Air has been able to provide reliable flights to 15 domestic and international destinations. Safety is of utmost priority at Buddha Air. It is the only airline in Nepal to have a state of the art hangar facility located on the premises of Tribhuvan International Airport, Kathmandu. The offices of its Technical Department, Flight Operations, Ground Operations and Security Department work from the hangar. The proximity of these departments allows employees to communicate and coordinate their efforts, which are imperative for operational safety. The hangar also has the largest spares and special tool inventory among all private airlines in Nepal for ATR 72-500, ATR 42-320 and Beechcraft 1900D aircraft. Worth approximately US$ 13 million, the spares minimize the time for the non-operability of the aircraft and maintain safety. In keeping with its safety culture, Buddha Air implements Safety Management Systems (SMS) which helps to monitor, identify and implement safety standards. It is also the only airline in Nepal to monitor 100% of its flights through FDM - Flight Data Monitoring. Buddha Air also conducts a two-yearly International Operational Safety Audit which is based on all 960 safety standards of the International Air Transport Association (IATA). Buddha Air's employees are also provided with technical and non-technical training to develop their capabilities in the best current practices of global aviation standards, ensuring that every passenger is provided the best services. 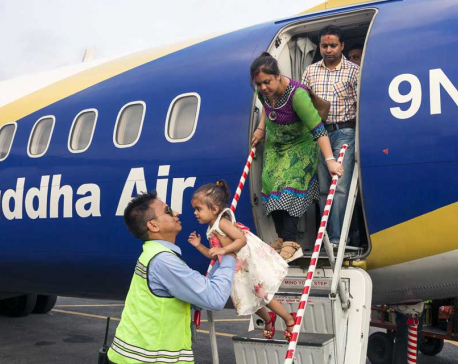 Buddha Air also takes care of passengers in need of special care and provides amenities like wheelchairs. Even pets can travel in Buddha Air, providing all the requirements for pet travel are met. For its frequent flyers, Buddha Air has established its Royal Club Frequent Flyer Program. It offers two-tier membership, Royal Club Gold and Royal Club Platinum. As a Royal Club member, you get the benefit of earning mileage points. These mileage points can be redeemed for free tickets, gift vouchers and discounts. With the aim of providing the safest, most reliable and comfortable means of air transport, the quality services and stringent attention to flight safety make Buddha Air the number one domestic airline of Nepal.